We have created this page to make information more accessible for our volunteers and provide additional resources! It is still under construction, however we would love your input! Email us at columbuspetrescue@gmail.com and share your ideas. Keep up with our current events! Check out our volunteer-specific calendar for the cage cleaning schedule, upcoming adoption events, meetings, benefits, and more! Here is a downloadable version of our logo! Thinking about helping us get the word out? Give it the official stamp! Are you on Facebook? Join our Volunteer Facebook Group to connect with other volunteers! Review this checklist to make sure you are following proper cage-cleaning protocol. Use this to spread the word in our community! Post flyers at work, on public bulletin boards, in parks, local shops and restaurants, anywhere! Common FAQs and helpful tips to prepare you for fostering. Use our logo to create flyers, pamphlets, etc. 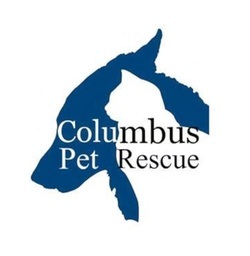 that will help spread the word within our community about Columbus Pet Rescue. Online training must be completed before you can begin as a volunteer at the Nationwide and Crew Stadium games. A reminder of our obligations when bringing animals to the PetSmart cages! This form MUST be signed by the previous owner of ANY animal being surrendered to Columbus Pet Rescue.